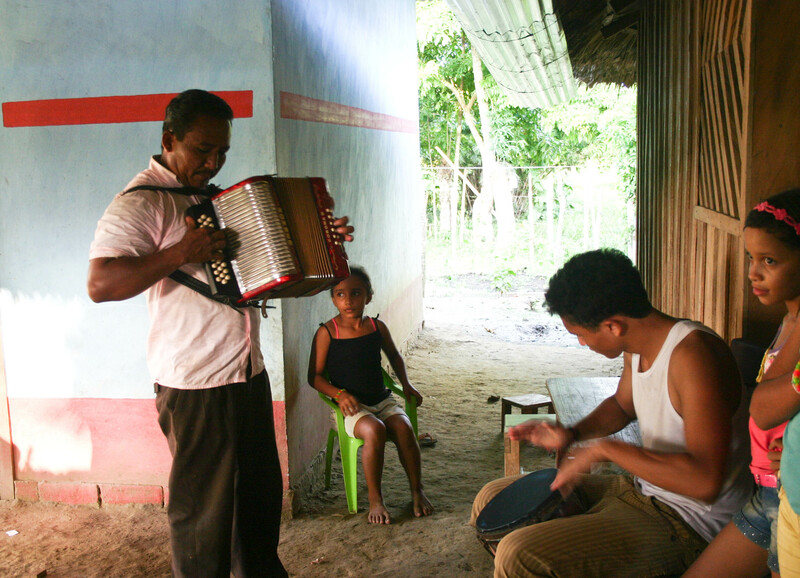 Every day at five am in the small rural community of Basurú, on Colombia’s Pacific Coast, a group from the local Mennonite church gathers to broadcast the events of the day. Using a microphone connected to megaphones hoisted high above the community on bamboo poles, the technology may be archaic but the messages are not. The only way to reach the community is by boat on the San Juan river; access to local news is a way to keep the community connected and informed of what is going on in the world around them. And this week, the news reaches far beyond their locality and connects with churches and organizations across the Americas. A special notice reminding the community to pray and be active for peace in Colombia is being transmitted in the days leading up to Days of Prayer and Action for Colombia. Each spring, churches and organizations in Canada, the United States and Colombia join together to remember and work for peace in Colombia. Traditionally, churches spend a Sunday reflecting on Colombia and the global ties that bind us together and then engage in an advocacy action on the Monday, based on the previous day. This exercise is both confession and exhortation, solidarity and leadership. The theme for 2014, ¡Adelante! Peace with Justice for ALL Colombians, expresses the need to follow the steps of Colombians as they continue to walk the way of change, acting for and demanding peace with justice in every corner of the country. For those in Canada and the United States, it is an opportunity to grapple with historical and present day realities: Plan Colombia has provided the Colombian government with $6.7 billion in military funding over the last 14 years, compared to the $2.6 billion in development aid over the same timeframe. This money has funded human rights abuses, such as the false positives scandal. 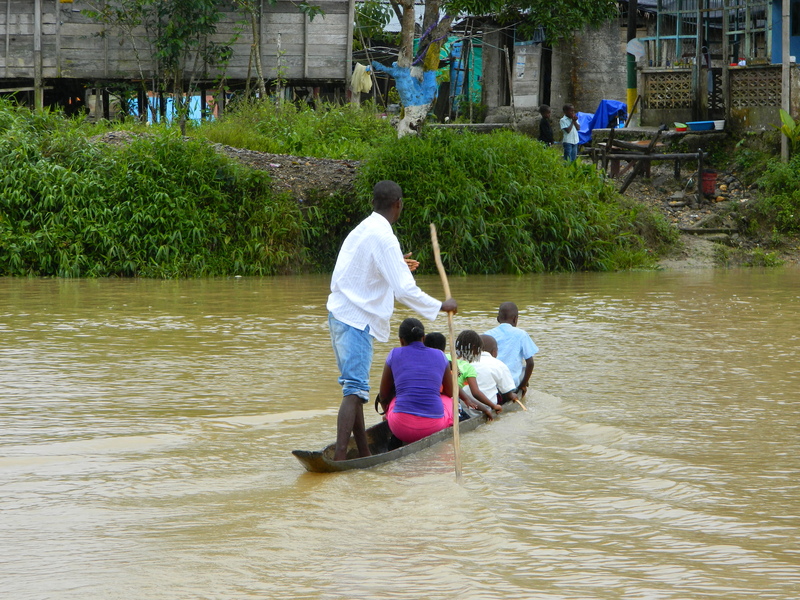 Canadian mining companies, who receive financial support from the Canadian government, participate in destabilization and displacement wherever they are located. Moment for Peace at the Teusaquillo Mennonite Church in the heart of Bogotá is a space where participants, a mix of people in a condition of displacement because of armed conflict and local Bogotá residents, gather every week to reflect on themes relating to their local context and their faith. 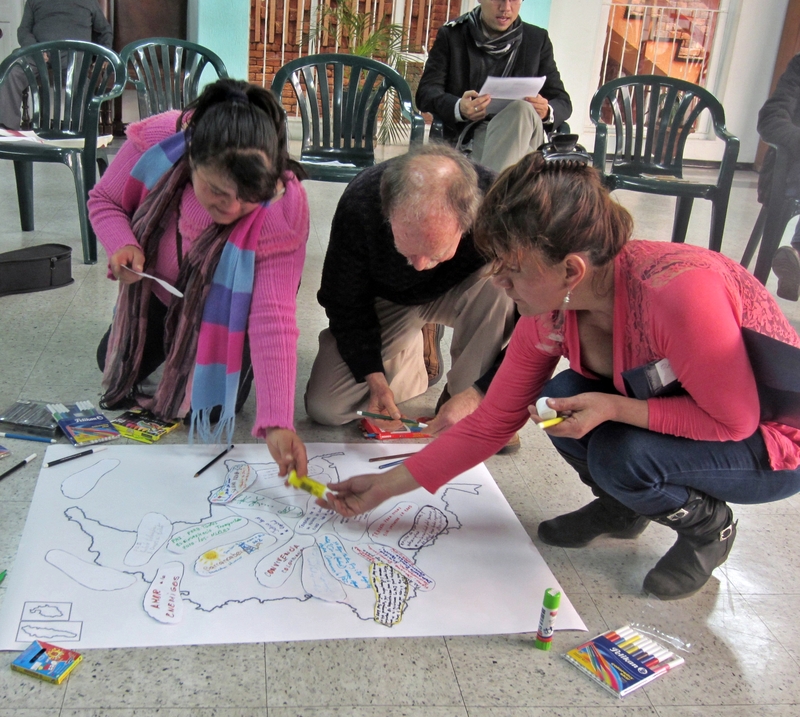 This week, individuals are gluing footprints decorated with their desires for peace on a map of Colombia. Each footprint represents an actual step forward for active change, in every region. Communities and individuals engage in peacebuilding actions everyday, including, but not limited to: peace education, community organizing for change, alternative crop projects, youth working for solutions to urban violence, political advocacy for changed policies and much more. 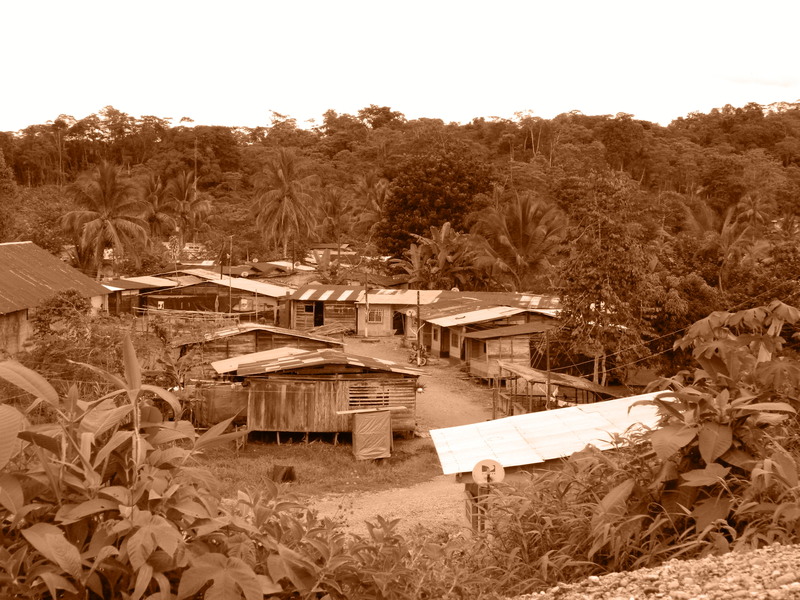 Although action looks different in the different part of Colombia, there is a common thread of refusing to let their humanity to be destroyed by the pervasive ugliness of war. Monday, therefore, is a day for action, a chance to take new steps together. In the United States, this involves signing a letter to President Obama asking for continued support for the peace process currently underway. While there is no specific formulated ask in Canada, the Open for Justice campaign promoting corporate social responsibility is an excellent way to start. In Colombia, churches and social organizations are delivering a letter to presidential candidates asking them to continue to support politics of peace. Our hope, however, is that this is just the beginning of forming a new relationship of mutual support in recognition of the global ties we share. Will you join the communities of Basurú and Teusaquillo, and Colombians from every distinctive region of their country, in praying and acting for peace? A beautiful resource, containing prayers, reflections and a powerpoint presentation that examines perspectives of peace from around the country is available online for congregational or personal use. Even if your church or organization does not decide to participate, the material is suitable for individual reflection any time of year. Perhaps community leaders are not broadcasting the need for peace at 5am in your community, but that does not mean you cannot participate, following the unique rhythm of your community.